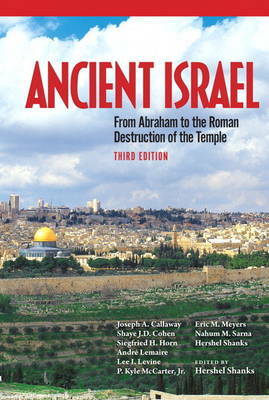 Considered the leading book on the subject, this book is an authoritative exploration of the complete history of ancient Israel-from Abraham, the first Hebrew, to the Roman destruction of the Second Temple in 70 A.D. It offers superlative authorship from acknowledged leaders in their specialties, from a wide range of nationalities, faiths, and backgrounds. The book is quite manageable in length and is packed with vivid color and black-and-white photographs, maps, charts, and timelines.